California Attorney General Kamala Harris delivers a keynote address during a Safer Internet Day event at Facebook headquarters in Menlo Park, Calif., Feb. 10, 2015.
Who could bring Jamie Foxx, John Legend, Seth McFarlane, Sean Penn and Facebook Chief Operating Officer Sheryl Sandberg to work together? Kamala Harris. 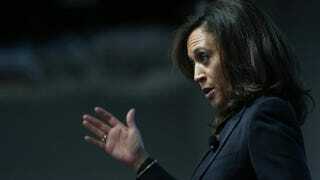 Running for the U.S. Senate, Harris has been dubbed the “female Obama” by supporters. And her diverse heritage, fast-track career and endorsements from celebrities, both political and otherwise, have made her a star in the state of California before one ballot has been cast. Harris has shot to fame in California for being the embodiment of several political “firsts”—she’s the first woman, African American and Asian American (her mother was from India) to serve as attorney general in California. 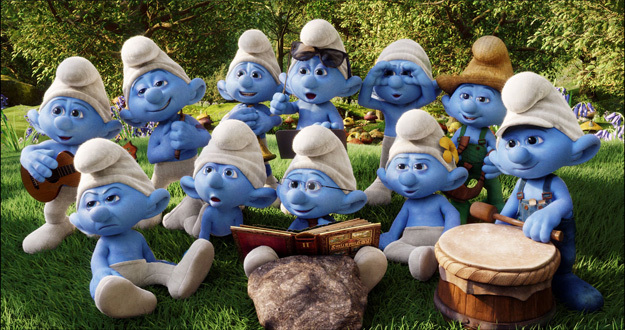 The seat she’s going after is being vacated by long-serving, powerful Democratic Sen. Barbara Boxer, who chose not to run in 2016, leaving open a California Senate seat in a state that couldn’t be bluer and safer if it were surrounded by Smurfs. However, Harris faces competition from Loretta Sanchez, a long-term Democratic congresswoman from Southern California. The primary in June could test what kinds of coalitions still exist with African-American and Latino voters in California and, if it gets ugly, could complicate Democratic chances down the ballot. The Republican presidential primary began with enough people to field a very old, very rich and mostly white college basketball team. But as the months have gone on, the field has begun to winnow (five Republicans have actually dropped out already). The primaries will likely have a much more reasonably sized group of men and women running for president. We have no idea what to expect in these primaries, which is partially why the role of women, minorities and other groups may be incredibly important. Perhaps Donald Trump—the front-runner—runs away with the race, all political hell breaks loose, the Republicans are reduced to a party of angry racists and xenophobes, and Hillary Clinton is dabbing toward the White House in November. The more likely scenario, however, is that the race is a long slog between Trump, Ted Cruz, Marco Rubio and perhaps a surprise candidate. This presents an interesting situation for African-American primary voters. Over the last two election cycles, Republicans have been willing to court black voters in open-party primaries when the white voters are split, and we may see similar strategies in 2016. Ben Carson’s campaign has been actively encouraging African-American voters to vote in the GOP South Carolina primary to bolster his chances. If the primary race drags on, we could see similar moves in swing states like Georgia, Virginia and Michigan. Since the killing of Michael Brown and the subsequent riots in Ferguson, Mo.—a mostly black suburb with a mostly white government—the African-American community has been gripped by discussions about the importance of local voter turnout. The argument is that the local City Council, as well as the district attorney’s and mayor’s offices, are just as important to Black Lives Mattering as who is in the White House. There are crucial mayoral races in Oakland, Calif.; Austin, Texas; and Milwaukee, not to mention Washington, D.C., and Baltimore, in 2016. The county prosecutors who failed in the George Zimmerman and Tamir Rice cases are up for re-election this year, as well. While African-American turnout is never a sure thing, if there were a year where national elections could bleed over into local activism and turnout and change some local lives for the better, this is the year. The importance of the vice presidential pick is always overstated, except this year. With Hillary Clinton the likely Democratic nominee and a two-thirds chance that the Republicans will field a Cuban American (either Cruz or Rubio) as their nominee, the selection of the vice president as a balancing act becomes all the more important. Will candidates seek a racial balance in their nominees? Will Clinton try to shore up the Latino vote by picking one of the Castro twins (Joaquin Castro is a Democratic House member, and his twin, Julián, is former mayor of San Antonio and the current secretary of housing and urban development) as her running mate? Will Rubio go the Obama-Biden route and seek an older, wiser running mate? Would Cruz try to pick a moderate white male as a running mate to appeal to independent voters, or would he double down on his hard-right positions? Would Trump pick Omarosa? With African Americans, Latinos, women and men in the potential mix for running mates, 2016 could end up having the most diverse presidential tickets in American history. There is really no way to predict how the final full year of the Obama presidency will play out. The cultural impact of this president, the policies that he may enact, and the role he plays both as a motivator for voters and a catalyst for Republicans are almost immeasurable. He certainly isn’t a lame duck in the symbolic sense. Barack Obama’s, along with Michelle Obama’s, ability to galvanize, inspire or possibly disappoint African-American voters in a crucial election year will be the single most important factor in who will win the White House in 2016. If President Obama can translate his organization, and enthusiasm, for one last push, then the new Democratic coalition he built in 2008 may last two more election cycles. If the coalition fails, or if he cannot translate passion for him into passion for Clinton, Democrats could be facing a Republican-dominated House, Senate, a majority of state legislatures and, of course, the presidency.